A golden or silver colour length regulator (slider) with a D-ring. 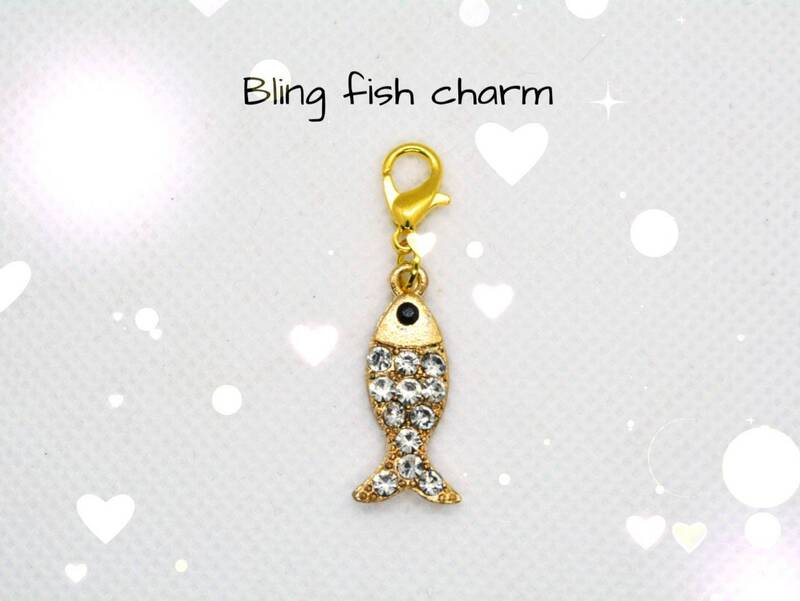 A bling fish charm (as shown on picture). 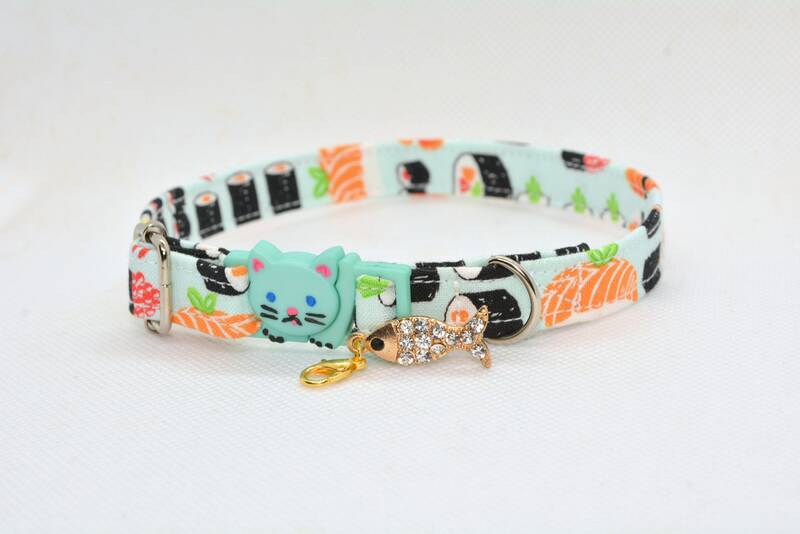 Received my cat collar and i love it! Its beautiful! 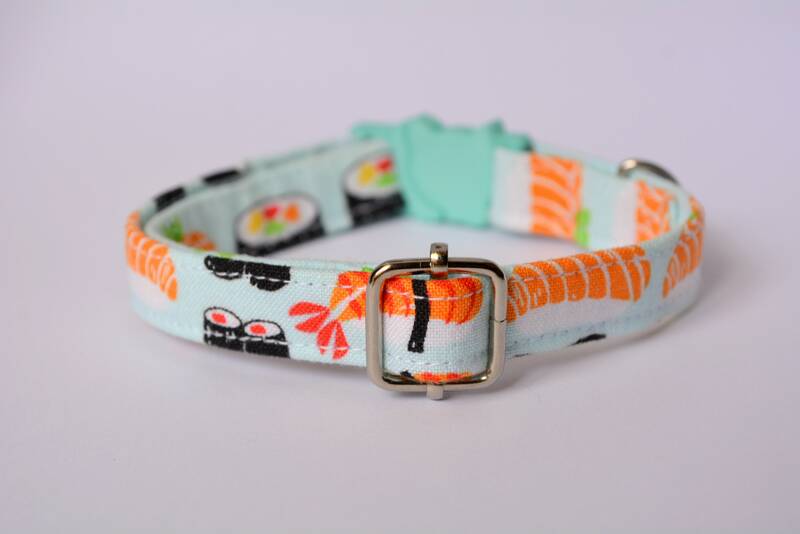 And i love the little present that comes with it too! Thank you so much! 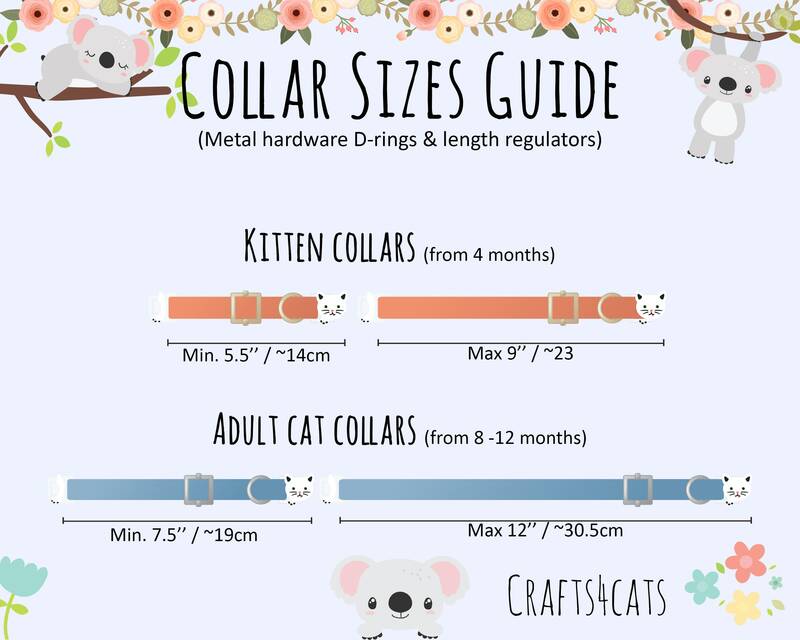 I absolutely LOVE the collar! 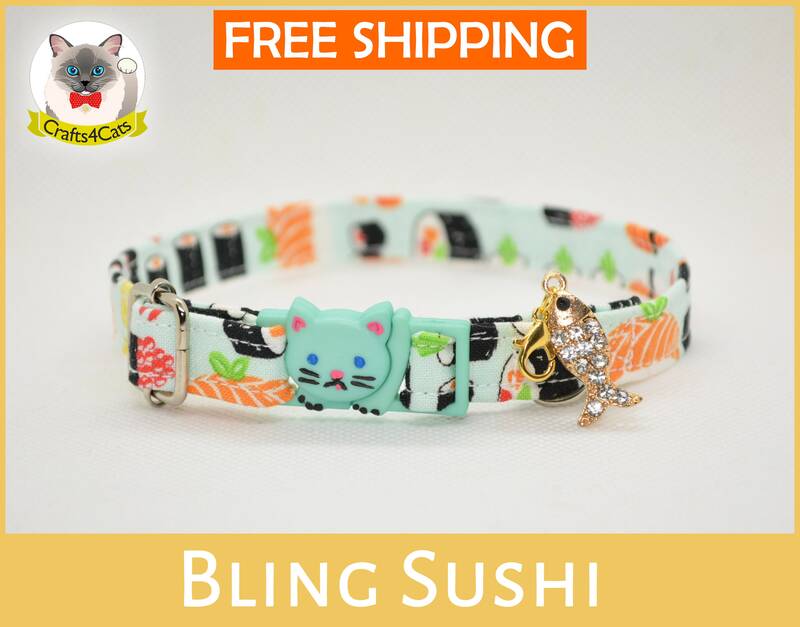 It’s too cute and completely worth it.